One of the biggest mistakes that applicants make when they submit immigration applications without the help of an immigration lawyer is leaving out questions on their immigration forms or leaving gaps in their personal, educational or travel history. What can happen when you leave gaps in your personal history? There is a high chance that your application will be returned to you because it is incomplete, or an immigration officer will reach out and ask you to complete the forms again and provide complete information. Either way, this slows down your application and creates processing delays. In some cases, if there is a cap to your application category (for example, a parental sponsorship application) you could miss out on applying until that application process opens back up again the following year. In the best interest of you and any family that you may be sponsoring to come to Canada, remember to always provide full and complete information. We often have people ask us about periods of time when they were between jobs, between semesters at university or in the process of moving to a new state or country. In these situations, when you are not working or studying, you must indicate that you are unemployed or traveling, whichever best fits your scenario, and indicate the exact time periods. Even if you have a one month gap, your application will not be processed without complete information. Another important note is to make sure that you are going back far enough in time. Generally, applications ask you for your history for the last 10 years or since you turned 18, whichever is most recent. For example, if you are 20, then you would provide your history from the time you turned 18 until the day you sign off on submit your application. If you are 40 years old, you would provide information from the time when you were 30 until the day you sign off on the forms. You should also take the time to make sure the information you are providing is accurate. If you cannot remember the exact month when you left a job a few years ago, it is worth it to take the extra time and find your last pay stub or employment letter to confirm the date and get it right. Immigration officials can ask for evidence, and depending on the type of application you are submitting, you may already be required to submit proof of your work or education experience. These dates will be cross-referenced when your documents and background details are reviewed. Similarly, if you are providing dates of travel history or time spent in or outside of Canada, take the time to review your passport stamps, travel itineraries and flight details. We strongly recommend that you take the extra time to look at your documents up front, before you are in a situation where you realize that you have provided incorrect or misleading information in your application. Even if your error or omission was not intentional, you could seriously jeopardize your application or be determined to have misrepresented yourself, which can create a barrier to you immigrating or traveling to Canada in the future. 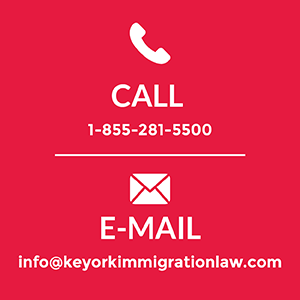 If you need assistance confirming that your forms and documents are complete, or are unsure what information you need to include in your application, reach out to our experienced team at Keyork Immigration Law. Last year the federal government held a forum on Francophone Immigration. Government representatives involved in immigration at all levels attended to discuss how to attract and retain Francophone immigrants. 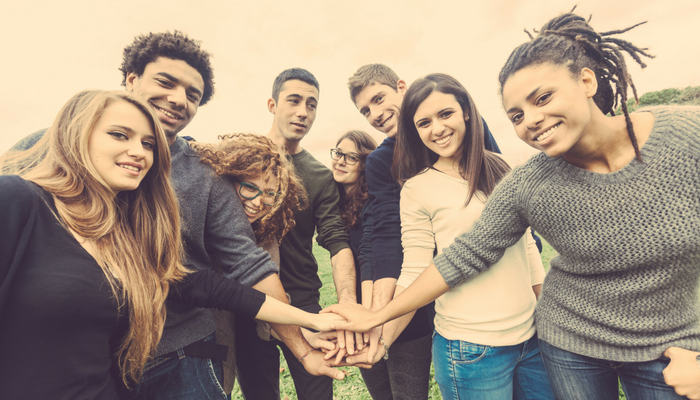 The government has stated that it values Francophone immigrants as a key factor in Canada’s immigration strategy, particularly in Canada’s minority Francophone communities. It is important to the government to ensure that French language and culture is retained in French-speaking cities and towns in Quebec.as well as across Canada. The government’s new plan, released in March 2018, the Federal/Provincial/Territorial Action Plan for Increasing Francophone Immigration Outside of Quebec is available at the included link on the Immigration, Refugee, and Citizenship Canada webpage. Highlights of the Action Plan include the mandate for the federal, provincial and territorial governments to be able to work together on this issue, as well as work locally in their own region. The government will be investing resources to promote opportunities, immigration pathways and settlement services to French-speaking applicants, engaging employers in French-speaking recruitment and employment initiatives and supporting diverse and inclusive Francophone communities across the country. In addition, the government will work to increase and highlight the availability, awareness, and accessibility of French language services in Canada. What exactly is the government trying to achieve with this plan? It hopes that by focusing on Francophone communities it will be able to increase the number of French-speaking immigrants that are aware of, and settle in, French-speaking communities outside of Quebec. It also hopes to boost the participation rate of French-speaking immigrations in our local labor markets, broader communities and social networks across the country. Next, the government will be speaking with community organizations and employers at a Symposium in Calgary on March 22nd. They aim to gather input to develop a strong understanding of the unique needs of communities across Canada. As a side note, this Plan and Symposium do not include communities in the province of Quebec because Quebec has responsibility for its own immigration targets, levels, and strategies, including attracting, selecting and approving immigrants. Quebec has its own policies and programs to achieve the goals set by the province. Ontario currently has the largest Francophone community outside of Quebec. Moreover, Ontario has a goal of having 5% Francophone immigration to support Ontario’s need for French-speaking individuals in the labor market. The federal government has stated a goal of 4.4% of immigrants to be French-speaking in the next five years, including 4.4% of economic immigrants this year. For any French-speaking individuals interested in relocating to Canada, have a look at some highlighted Francophone communities across the country in the table below. These are just a small fraction of what Canada has to offer – there are Francophone areas in every province and territory. International Women’s Day (“IWD”) is held every year on March 8th. Canada has IWD celebrations all over the country and we want to share some of the history and events happening this year. IWD, also known as the United Nations Day for Women’s Rights and International Peace, started in the early 1900s. The first National Women’s Day was held in the US in February 1909 following a protest of American women related to poor working conditions in the garment industry at the time. In 1910, a Women’s Day was formally established to recognize the movement that was happening at the time related to women’s rights and gaining the right to vote for all women worldwide. New Zealand was the first self-governed country in the world to secure the right for women to vote in the late 1800s. Part of their movement involved presenting a petition of signatures more than 270 meters long to their parliament in 1873. In Canada, Manitoba was the first province to grant the women’s vote in 1916, followed by Saskatchewan and Alberta in the same year. By 1919, most Canadian women over 21 could vote in provincial and federal elections, other than those in Quebec. While Quebec women could vote federally, they weren’t able to vote in provincial matters until 1940. Women’s involvement in World War I and the at-home efforts during the war played a pivotal role in gaining the women’s right to vote. While many women contributed to war by serving abroad, many others were keeping things going home. This included working in factories to make ends meet for their families and producing supplies for the war effort. Canadian Emily Stowe was an early organizer for women’s right to vote in Canada. In 1876, she started a women’s right to vote group – she called it the Toronto Women’s Literacy group at the time to disguise that the women were really organizing to talk about voting. In Quebec, Marie Lacoste Gérin-Lajoie was also involved in the fight to get women the right to vote in the early 1900s. From Manitoba, the first province to grant women’s voting rights was Nellie McClung. McClung was successful in lobbying for women’s right to vote and went on to successfully get women recognized as persons under the law in 1929 by campaigning to the Supreme Court of Canada. The first International Women’s Day held in 1911 saw more than one million people in Austria, Denmark, Germany, and Switzerland come together to protest for women’s right to vote and labor rights. In 1929 in Nigeria, a group of Igbo women sent invitations (by way of palm leaves) to women in Southeastern Nigeria to protest against the politics and status of women at the time. In 1945, the United Nations was established and included gender equality as one of its areas of focus. In 1946, the Commission on the Status of Women was established as the first global body that focused on women’s rights and equality. In Canada, we established the Royal Commission on the Status of Women in 1967, which became the Ministry of the Status of Women (or Status of Women Canada) in 1971. This federal Ministry currently focuses on ending gender-based violence, supporting women in rural and remote communities and economic and educational initiatives for women and girls in Canada. Today, International Women’s Day is about celebrating the social, economic, cultural and political achievements of women around the world. It also shines the light on issues that still affect gender equality. 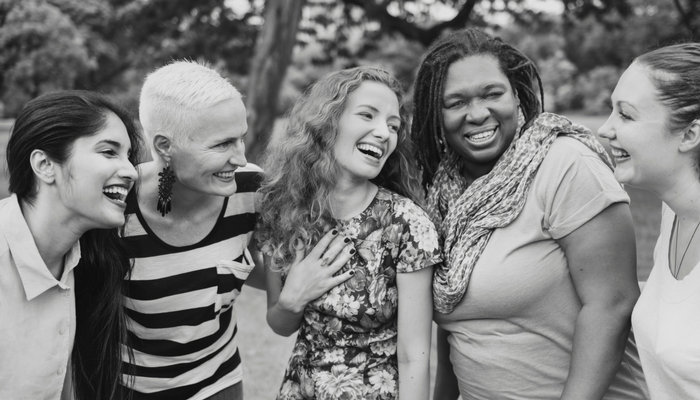 There are many ways to get involved in IWD in Canada – almost every city and town has a celebration or holds IWD events. You can check out events in your location by visiting the IWD events page, or check out our highlighted events below. Want to learn more about the issues affecting women around the globe? The UN Women webpage is a great place to learn more. From all of us at Keyork Immigration Law, we wish you a happy International Women’s Day. It can be tough to get back into the swing of things after the holiday season. Everyone is making New Year’s resolutions and trying to stick to them as they get back to post-holiday routines. The cold temperatures and never-ending snowfall can start to get us down when we feel like we are stuck indoors. We want to give you some pointers on how to keep the holiday spirit going into 2018 by enjoying everything Canada has to offer in the winter months. If it is your first winter in Canada, welcome! We hope that everyone – even those adjusting to the chilly weather – can find something interesting on our list. 1.Find your local outdoor skating rink – skating is truly a Canadian pastime and it is hard to find a Canadian city or town without an outdoor skating rink or two. Admission to most of these rinks is free and renting skates is budget friendly. Haven’t skated before? A lot of the ice rinks have quick lessons for beginners or bring a friend along and hold on while they show you the ropes. 2.Snowshoeing – if you want to get out into the country for an afternoon, renting snowshoes and finding a trail for a walk is a great way to enjoy the fresh air. 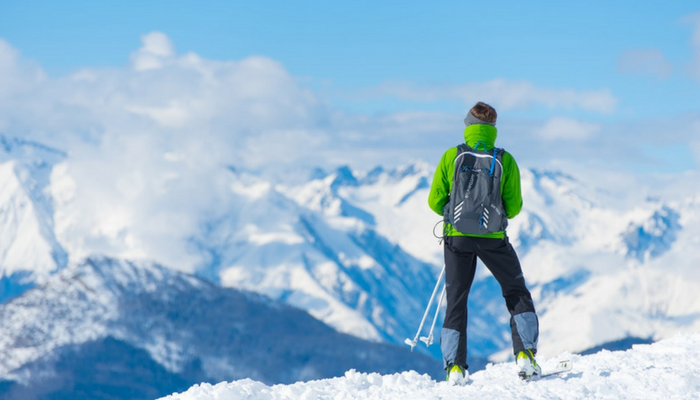 Getting a pair of snowshoes on your feet can be awkward at first, but once they are on it is easy to get going. Bring a thermos of hot cocoa to stay warm and don’t forget your scarf and mittens! 3.Visit your local museum – visiting a local museum is a great way to get out of your home on a winter weekend while still staying warm and cozy. In Toronto, the Royal Ontario Museum has more than 30 galleries and Montreal’s Museum of Fine Arts offers free admission to selection exhibitions on the last Sunday of each month. 4.Catch a local sporting event – tickets to an NHL might be pricey for most people, but there are always local hockey or sports teams that offer cheap or free admission. 5.Check out events at your local library – libraries are a great place to get to know people in your community and participate in local events. There are always programs and classes being offered, from ESL training to hobby classes. 6.Attend a local winter festival – there are many winter festivals around the country every year. Niagara Falls has an annual Festival of Lights that is free (or by donation) and runs until mid-January. Quebec City’s Carnaval de Quebec runs from January 27-February 12 and includes both free and paid events for the whole family. Ottawa’s Winterlude is on from February 3-20 and includes an opportunity to skate down Canada’s famous Rideau Canal. You’ll be sure to find fun local activities by checking your city or town’s events page. 7.Winter walks with a hot beverage – it can be a struggle to stay active and get outdoors in the winter. Many Canadians love to grab a coffee, tea or hot cocoa on a Sunday afternoon and stroll around their neighborhood for some fresh air and exercise. 8.Go sliding – if you visit any Canadian neighborhood after a snowfall, you are almost guaranteed to find a group of children (and probably some adults too) with sleds and snow carpets sliding down the fresh powder. This is a great family activity and an opportunity for kids to meet others in their area. 9.Try skiing or snowboarding – skiing and snowboarding can be intimidating, especially if this is your first winter in North America! Ski Canada offers discounted packages for families that want to learn to ski and is a good starting point if you are interested in giving it a try. 10.Join an indoor sport – winter sports are not your thing? Chat with your local recreational sports organization or community center to see what group sports and programs they are running throughout the winter. We hope that some of the activities of interest you and help you stay active and engaged in your community during the colder weather. In last month's newsletter, we covered the recent changes to Canada's citizenship granting rules. In the world of Canadian immigration, rule and process changes happen often. In addition to the changes happening within Canada over the last year, we have also seen an increased demand from foreign nationals to relocate or claim refugee status here, which may have been partly influenced by the incoming president south of our border early in the year. As 2017 comes to a close, let's take a look at selected changes we saw throughout the last year in Canadian immigration law and what we can expect in 2018. In January 2017, the Liberal government appointed a new Minister of Immigration, Refugees, and Citizenship ("IRCC"). Our current Minister, Ahmed Hussen, is Somali-born and a Canadian refugee himself. He migrated to Canada as a teenager, bringing his role full-circle from his childhood and early beginnings as a Canadian. In 2012, the government introduced conditional permanent residence ("PR") requirements for Canadians sponsoring their spouses or partners. As a conditionally sponsored PR, couples had to reside together for at least two years for the sponsored partner to retain their PR status. The rules applied to couples who were not in a relationship for at least two years and who had no children together. This year, this requirement was lifted. Now, sponsored spouses and partners are unconditional Canadians PRs as soon as their PR application is approved. The cutoff age for dependent children to be included in an immigration application changed back to its pre-2014 definition, going from 19 and under to 22 and under. This rule is expected to say as it is for the near future, or at least until the next government is elected. There was much discussion surrounding the parent and grandparent sponsorship category this year. Moreover, rightly so, given the significant wait times and backlogged application process that has plagued the system for years. In 2017, IRCC changed the system from a first-come, first-served model to an invitation based process. In early 2017, we saw a new form introduced that had Canadian citizens and permanent residents wanting to sponsor their parents first apply to express their interest. From there, immigration officers would assess the sponsor's ability to support their parents before having to gather and submit information about the parents themselves. From the pool of interested applicants, 10,000 individuals were selected to apply in 2017. Those that didn’t cut that round can still try again next year. Changing Temporary Resident Visa Requirements - Who Needs One? Some foreign nationals need a Temporary Resident Visa ("TRV") before they can enter, or re-enter, Canada to visit, work or study. In the spring of 2017, the government lifted the visa requirement for citizens of Romania, Bulgaria, and Brazil who travel to Canada by air and who have held a valid TRV in the last ten years or who have a valid US visitor visa. These individuals still need an Electronic Travel Authorization. Further relaxation to the rules for Romanian, Bulgarian and Brazilian citizens are expected to come into effect before the close of 2017. We will keep you informed as the new rules roll out. In contrast, citizens of Antigua and Barbuda were found to no longer meet Canada's visa-exemption requirements and, since the summer of 2017, need TRVs before they travel to Canada. The federal government set the 2017 target at 300,000 new immigrants, and the new Minister indicated that this will be a baseline for the future. We can anticipate that this number will be a minimum in 2018, and we are likely to see an even higher number of new immigrants this time next year. In discussing the level of immigrants, the Immigration Minister quoted a dedication to economic growth and family reunification as top priorities for the government. These highlights mark just some of the many changes and trends we have seen throughout the last year. With the increased targets the government has set for immigration levels in 2018, we are sure to keep seeing regular updates and process changes to make way for the increased volume of applications - or will the government struggle to meet its targets based on existing processing infrastructure? We will continue to keep you updated based on our experiences and recent discussions in the immigration industry. It is important to be aware of potential scams so you can recognize them early, not get involved and report any suspicious activity to the proper authorities immediately. If you are ever contacted with a Canadian job offer, you should make sure that it is legitimate before taking any action. Lawyers and immigration consultants cannot send you a job offer for immigration purposes or guarantee you immigration status. Similarly, law firms cannot act as job soliciting partners for employers or recruitment agencies. You will never receive a legitimate job offer from a law firm and should immediately report any party that claims to either: (a) be a law firm offering you a job offer for immigration purposes; or (b) be an employer or recruiter that is working in partnership with a law firm. Real employers will first contact you for an interview and discuss a potential job offer with you before sending any documents. If anyone contacts you and asks for payment or an administrative fee in exchange for a job offer then you should report them. Employers will not do this and you should not be required to make any payment to secure a job offer. Valid job offers should list the name of the employer or recruitment agency and will not list the name of a law firm or government agency. When you receive a job offer from an employer, take the time to review it carefully to make sure that it is legitimate. Below, you will find an example of a fraudulent job offer. Ads or offers that promise you a job or guaranteed entry to Canada are false. Plain and simple. Any Canadian employer, lawyer or other legal representatives who offer you guaranteed entry to Canada, a job offer or expedited processing in exchange for a fee is acting fraudulently. Do not engage with or pay these individuals. 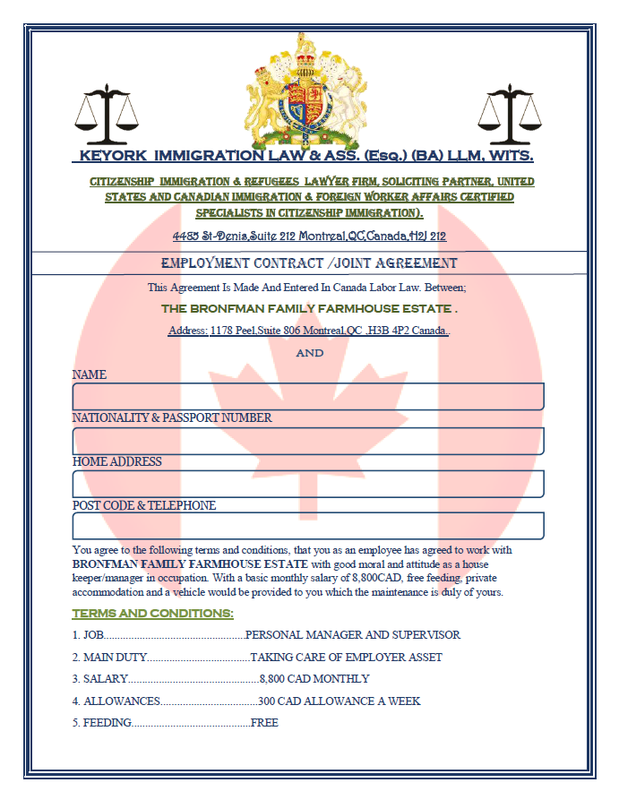 You do not need a legal representative to apply for Canadian immigration status or obtain a Canadian job offer. Legal representatives can help you prepare a strong application and increase your chance of success based on their experience, but they cannot guarantee you a visa or that your application will be processed more quickly than anyone else’s. No representative or third party can negotiate special treatment for you with the government. It is important to understand who is legally able to help you with an immigration application and give you advice. Only lawyers or paralegals in good standing with a Canadian law society, immigration consultants who are members in good standing with the Immigration Consultants of Canada Regulatory Council or notaries who are in good standing with the Chambre des notaires du Québec are legally allowed to charge a fee for immigration advice and assistance. You can easily make sure that your representative is authorized by asking them if they are a member of any of the above organizations and then calling that organization or doing a quick online search to make sure the individual is who they say they are. There are serious consequences for providing false documents and information to Canadian immigration authorities. It is important to steer clear of fraudsters because you could also be penalized for being involved. Penalties include being banned from entering Canada, being recorded in the government’s database, having any existing Canadian status revoked, being removed from Canada and being charged with a federal crime. If you suspect that you are in contact with a fraudulent individual or company, do not engage with them or give them any personal information. You should immediately report the activity to Immigration, Refugees and Citizenship Canada (IRCC) by calling the Border Watch Tip Line (Toll-Free): 1-888-502-9060. All information you provide will be kept confidential. Within the last three years, we have seen a mass overhaul to the Citizenship Act of 1977. In 2017, some of those initial changes were reverted back to reflect the previous rules. 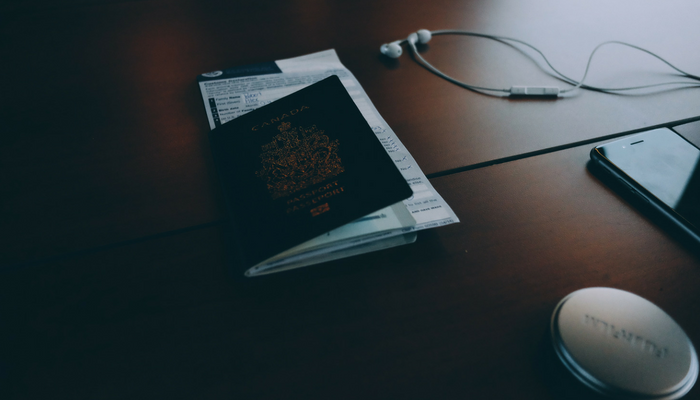 All of the back and forth can be confusing, so we are outlining the major points you should know if you are applying for Canadian citizenship. In 2014, the Strengthening Canadian Citizenship Act came into force and introduced the biggest changes to Canadian citizenship laws since the 1970s. 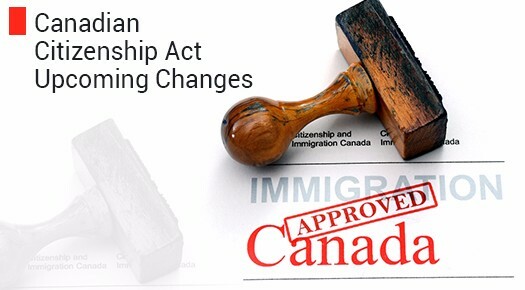 These changes meant stricter residence requirements, a new intent to reside in Canada requirement, new age requirements for applicants taking language skills and citizenship tests and broader discretion for the Minister of Immigration, Refugees and Citizenship to grant and revoke citizenship. In June 2017, the Trudeau government passed Bill C-6, an Act to Amend the Citizenship Act. Some important changes from that Bill came into effect in June. • the reversal of certain provisions that only applied to dual citizens; and• new eligibility for minors to apply on their own without necessarily having a parent with Canadian citizenship. 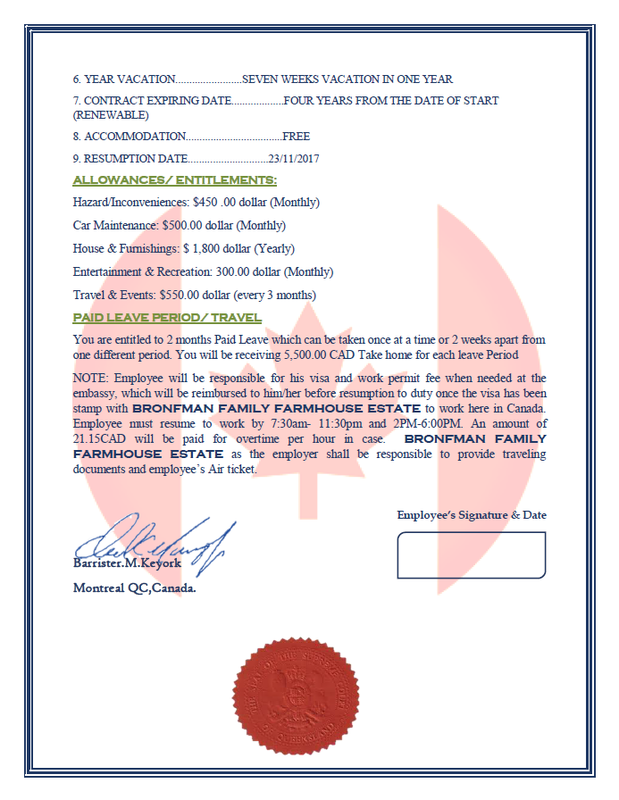 • Applicants are only required to file income taxes in Canada for 3 out of 5 years before applying for citizenship. The two key takeaways for current permanent residents are that you no longer need to wait until you have accumulated four years of physical residency – you can apply as soon as you have hit three years. This opens up the application process a year earlier for many permanent residents. Secondly, for those who were counting their physical residency from the date they became a permanent resident, you can now look back to the time you spent in Canada before being granted permanent resident status. You can now use that time spent in Canada before you were a permanent resident by counting any days as a half day, up to the one-year maximum. 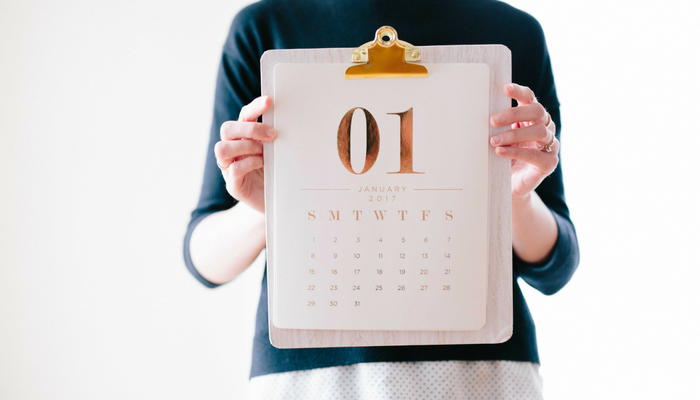 Don’t forget, you can only look back and use this time within the five year period before you make your application, to ensure that you understand the cutoff date and exactly what counts toward the physical residence requirement. Both of these changes combined mean that many applicants will be eligible to apply much sooner than they would have been under the last set of rules. If you are waiting to apply for citizenship, take a look at your residence dates – you just might be eligible to apply now. Stay tuned, there are further changes coming in later 2017 and 2018, including a new process for citizenship revocation by the Federal Court of Canada and new powers for citizenship officers to be able to seize documents that they suspect are fraudulent, or that they find to be fraudulent. The exact dates for these changes have not yet been announced. It’s finally October in Canada! 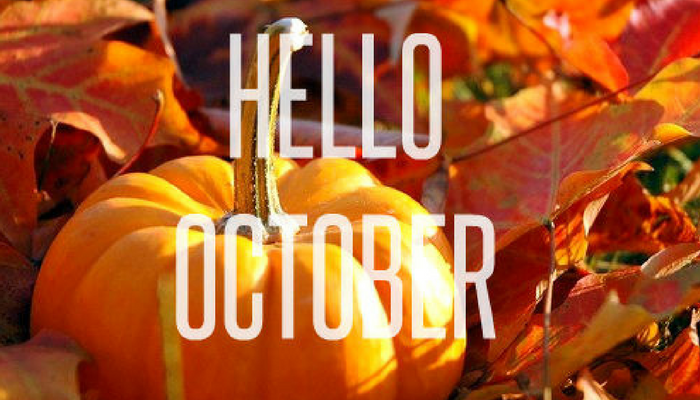 The leaves are changing, the temperature is dropping and holiday décor is starting to fill up on the store shelves! While September is the month for our final BBQ hurrah’s and the time to go Apple picking, here’s a list of what you can do to fill out your October weekends! Oct. 1st – Celebrate International Coffee day by grabbing your favorite fall latte! October 7-8th – if you’re in the Ontario Lake Country area check out the Thanksgiving Harvest festival! Take a hike up Montreal’s Mont-Royal to see the beautiful fall change of season. Have a picnic at the top of Mont-Royal’s lookout! October 6-31st – Get your tickets to the ultimate haunted house experience with Screamers, experience 7 horrifying haunted attractions, and rides! Visit a local pumpkin farm and go for a hay-ride! Don’t forget to carve the pumpkins you got! October 9th – Celebrate Canadian Thanksgiving by baking a fresh pumpkin pie! October 28th – Participate in the Zombie Walk of Montreal! Dawn your best un-dead look and be the bite of the party! If you’re in Alberta, check out any one of the 6 corn mazes throughout the province. October 28th – Find a local Halloween party and dance responsibly! Check out the Harry Potter Film Concert Series as it makes its way across Canada. Watch the movies while a live orchestra performs the music from the films! October 31st – Dress to impress your co-workers, the best costume wins! We wish you a very happy fall!